Oh dear! This is one of the most shocking news I am getting lately. 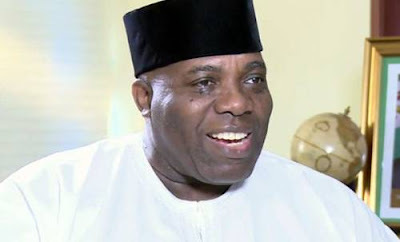 Okupe was a die-hard PDP member who had made jest of other parties in the past. It was either PDP or nothing… So people just change when power change hands? We understand people change, but for someone like Doyin Okupe who could ‘die’ for Ex-President Goodluck Jonathan and PDP has a whole? Come on… he should have waited t be part of those who will reform the party. No, I still find this hard to believe, but he made the announcement officially on his facebook page.Oh I still remember the days of Okupe when Goodluck Jonathan was in power, you say one word against the ruling party, Baba fires you back! Indeed, nothing lasts forever. Find his FULL STATEMENT after the cut. Best wishes sir.